With gadgets increasingly pitching their sporty capabilities, accessory makers have started offering matching companions for such devices and users at varied price points. 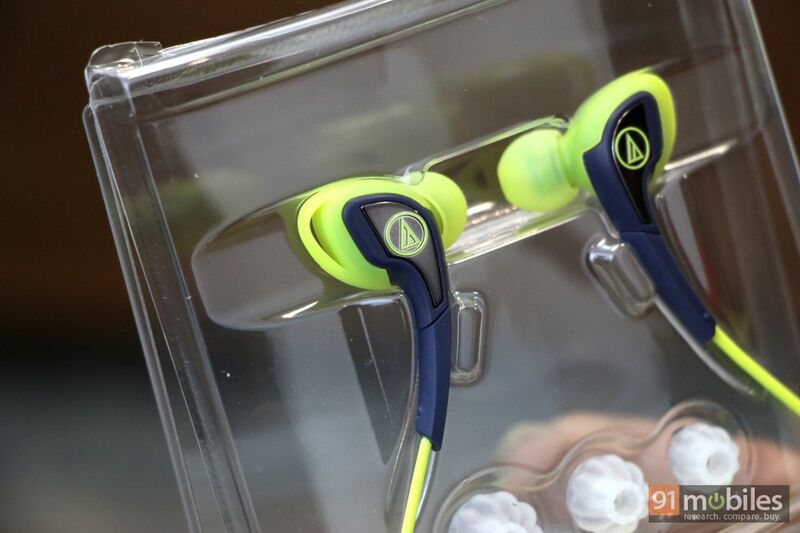 The newest Sport series of earplugs from Audio-Technica features a combination of three different products aimed at users looking for something that could go well with their active lifestyles. 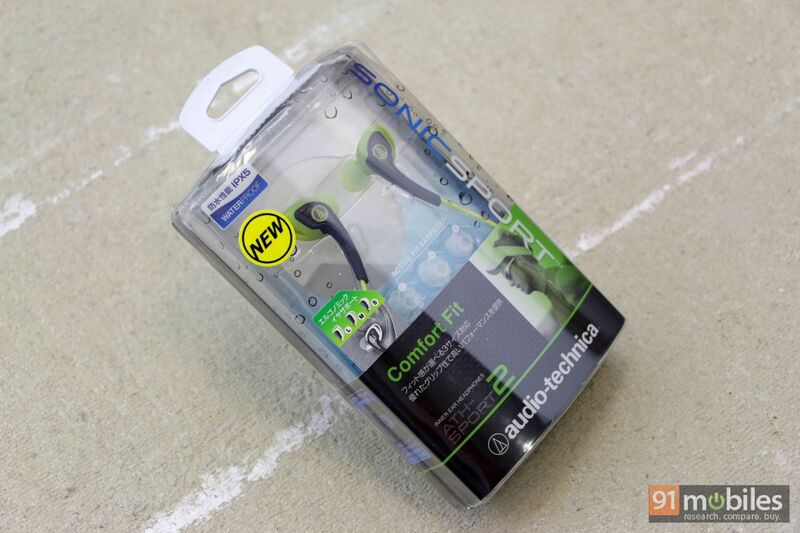 We have the second member of the Sport series, the Audio-Technica ATH-SPORT2 earphones for review, and here is how they fare. Sporty earplugs usually rely on over-the-ear designs, using which the earplugs hold on to the user’s ears while the whole apparatus is in use. However, the downside of this over-the-ear design is that it could be tough to use sunglasses since the frame of the glasses also rest on the ears. 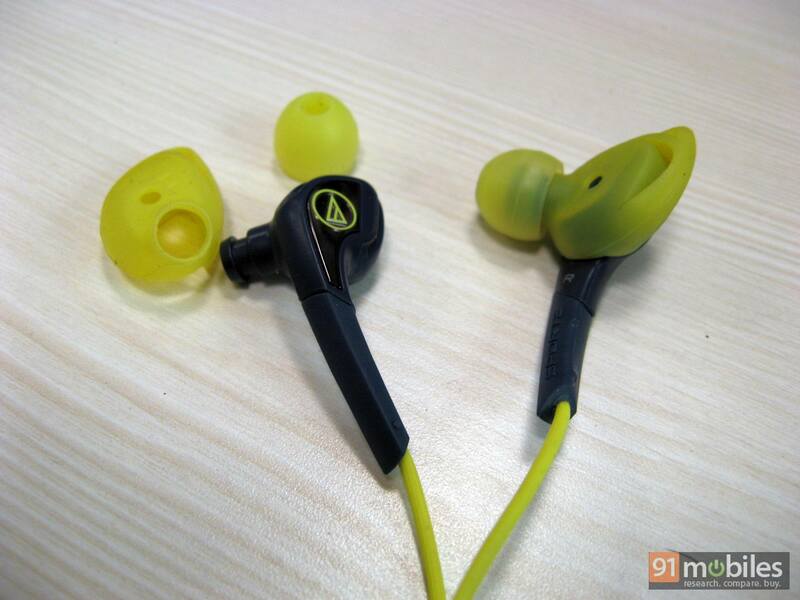 With the ATH-SPORT2, Audio-Technica has offered a unique design that fits snugly in the user’s ear canal without having the need to feature an over-the-ear design. This has been done with the use of silicone ear tips that come with springy suspension bridges made using silicone rubber that literally stick to the inside of the ear without causing any discomfort. The product ships with three sizes of these ear tips for a custom fit. In addition, the earplugs use an in-canal tip design, which allows for a better fit and offers some passive noise cancellation qualities as well. However, the combination of these two is going to be a tough one for most users to like at first but as you start using the ATH-SPORT2 on a regular basis, you would not want to go back to your older set of earplugs. 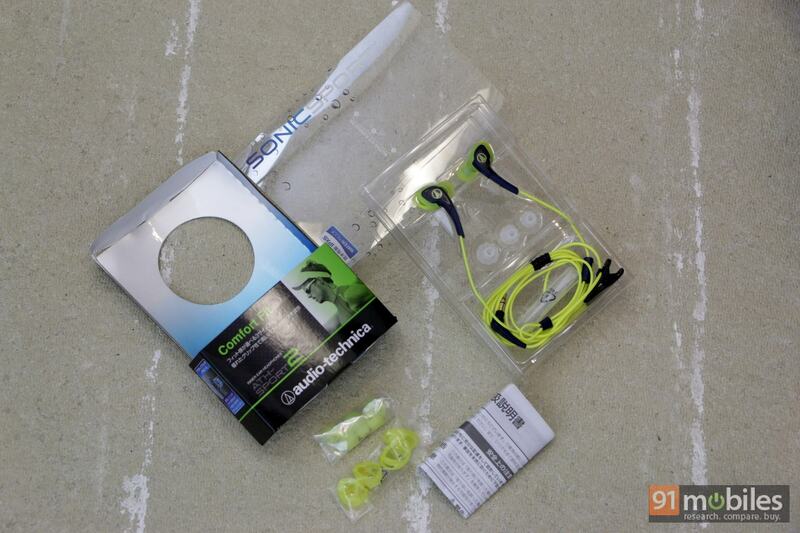 Not just the earplugs, the whole headset has been designed in such a way as to maximise comfort during those long and strenuous workouts or jogging sessions. 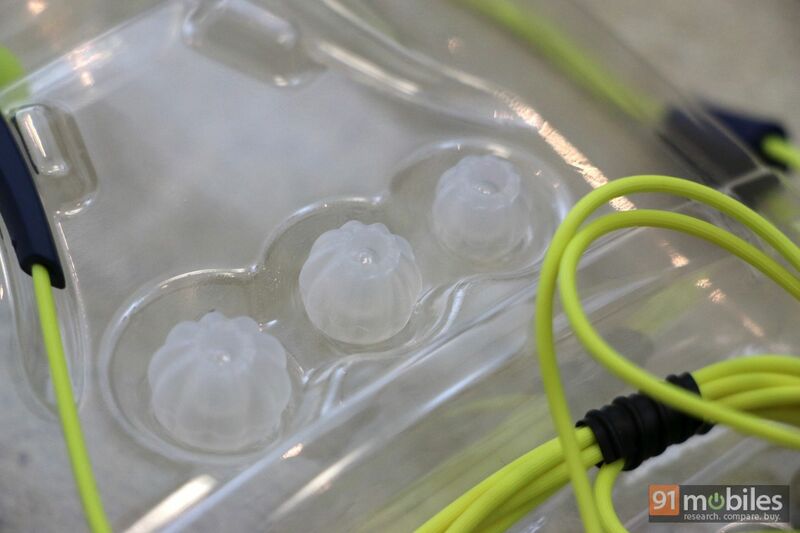 The earplugs get IPX5 (Ingress-ProgressionX5) rating, which means that they’re resistant to damage from water. However, the X in the centre means that the plugs are not protected from dust-related damage, so users would have to be careful in that domain. 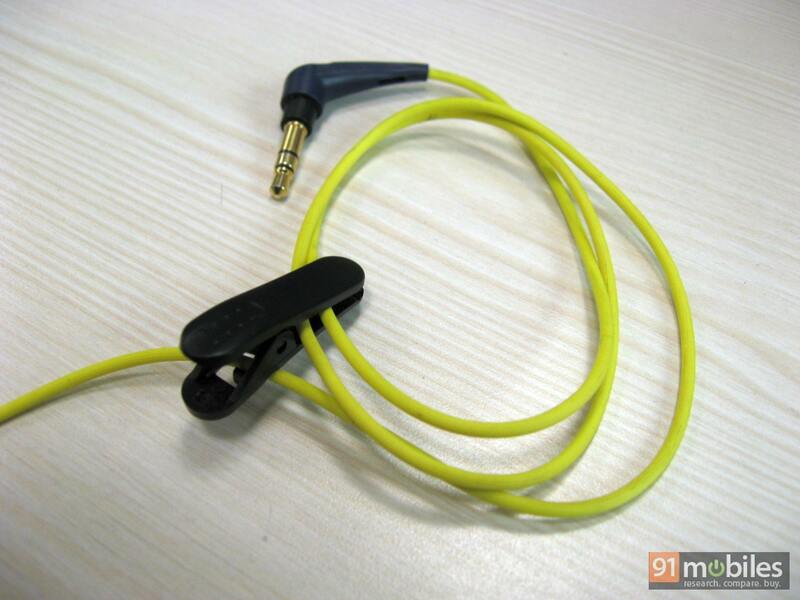 In addition, this pair comes with a ‘U’cable design that can be easily worn behind the neck and a clip has also been provided towards the end to avoid accidental pulls. Talking about the internals, since the ATH-SPORT2 features a compact design, the company has used a 10mm driver instead of a 12-14mm driver used by most manufacturers these days. However, even with a smaller driver, the quality of sound offer is pretty good, and we’ll come back to the details on that in a bit. The 10mm drivers on the ATH-SPORT2 come with a frequency response of 15Hz to 25 KHz, covering most audio frequencies that the human ear can respond to. Along with it, the drivers boast of a slightly higher 28 ohms of resistance at 100 mW, meaning the smartphone or the audio player they’re plugged into should be good enough for a fuller audio listening experience. The higher resistance also makes sure that the audio quality is not overwhelmed at higher volume levels as well. 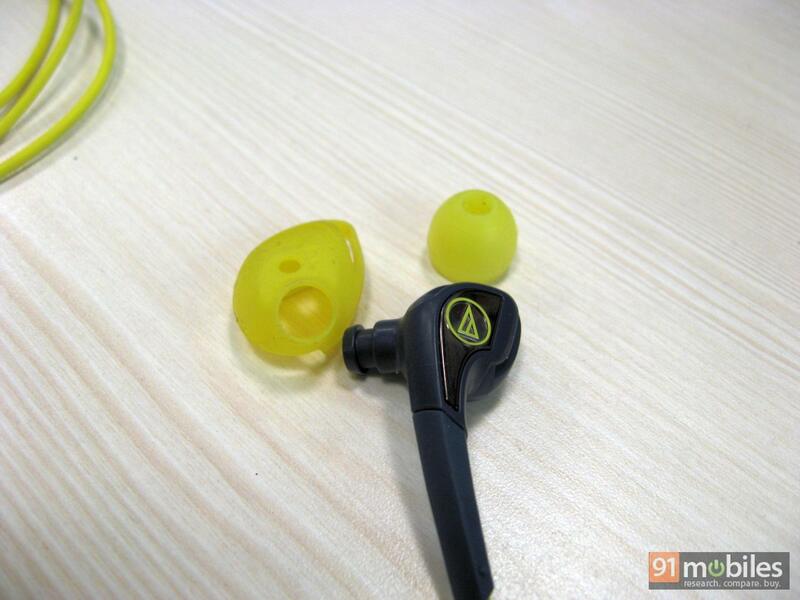 In real life use, we tried the ATH-SPORT2 for a few days before writing this review, just to be sure that this new design is something that is worth vouching for. 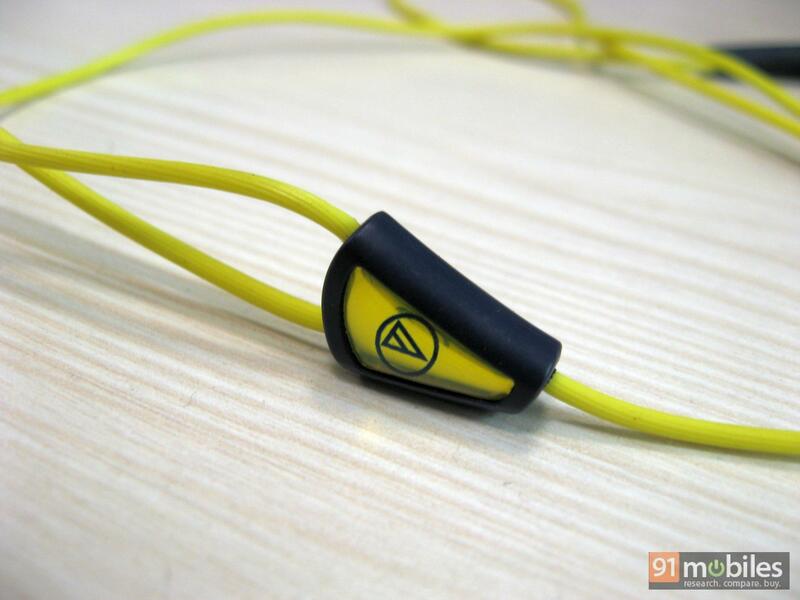 And after being satisfied with the quality of sound offered combined with the added comfort, we’d say that the ATH-SPORT2 is a worthy buy for a price of Rs 2,299. We listened to a wide variety of music on this and it made the jog every morning a delight. The bass offered by the drivers is available in plenty while the highs and mids are kept in tight focus as well. At close to 95 percent volume levels, the bass tries to overpower the other frequencies but it would be a rare scenario to be worried about as usually, the volume levels hover around 50-70 percent and at that range, ATH-SPORT2 perform brilliantly. However, the active ear-tips offered in the box totally defeat the purpose of a snug fit and we found them to be rather useless. 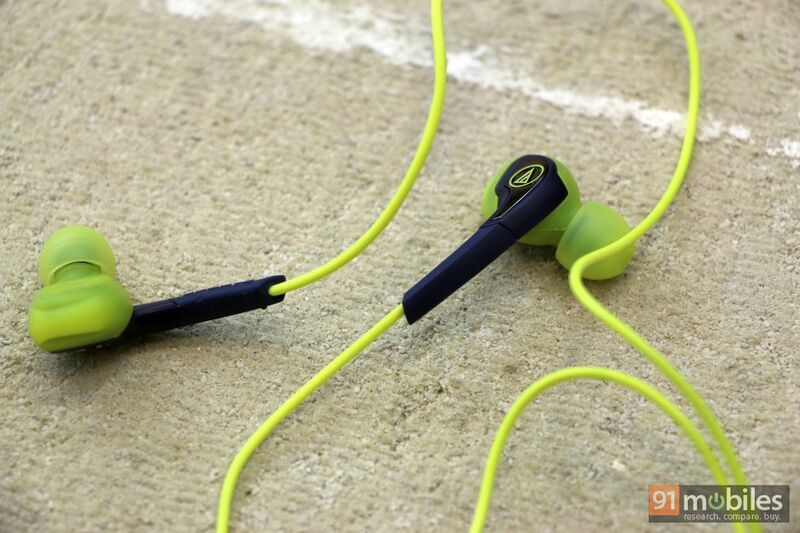 Mostly the Audio-Technica ATH-SPORT2 is a good accessory for those who want their dose of music while working out. It offers a balanced sound that makes it good for almost all kinds of music to be heard. In addition, it offers for a comfortable and a snug fit. 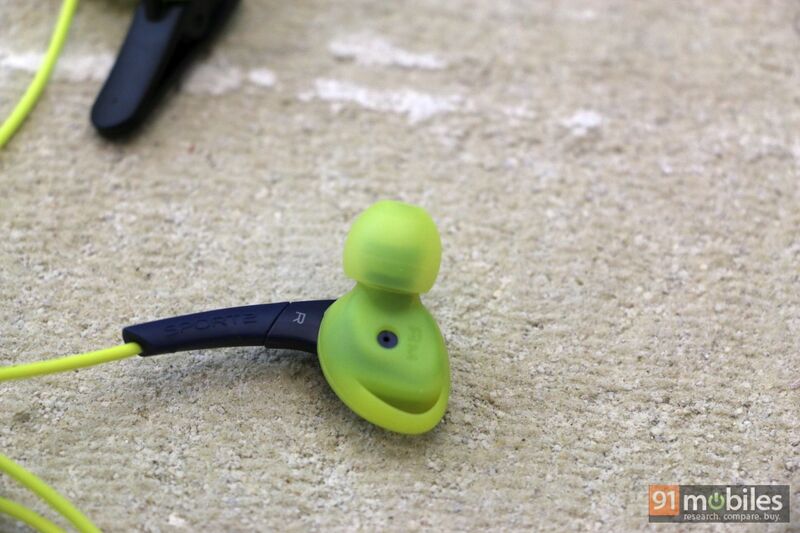 And to round it up, the earplugs boast IPX5 certification so users would not have to worry about them getting damaged due to sweat or rain.